A fatal crash closed the northbound lanes of Interstate 35W near Alliance Airport, Aug. 7, 2018. A woman was killed in a crash Tuesday in a construction area along a stretch of Interstate 35W in far North Fort Worth. 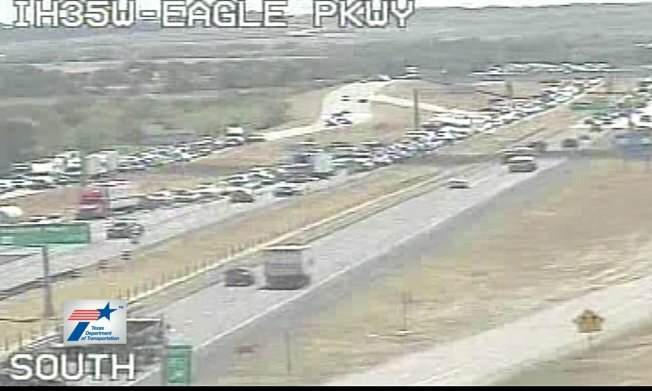 According to Fort Worth police, construction crews were merging all lanes between Alliance Airport and Texas 114 when a package truck struck a vehicle in front of it causing a chain-reaction crash involving several other vehicles. A woman driving a vehicle in the first car hit was killed in the crash. The northbound lanes of Interstate 35 were reopened late Tuesday afternoon after the crash was investigated and cleared. Further details about the crash or anyone else who may have been injured are not known.